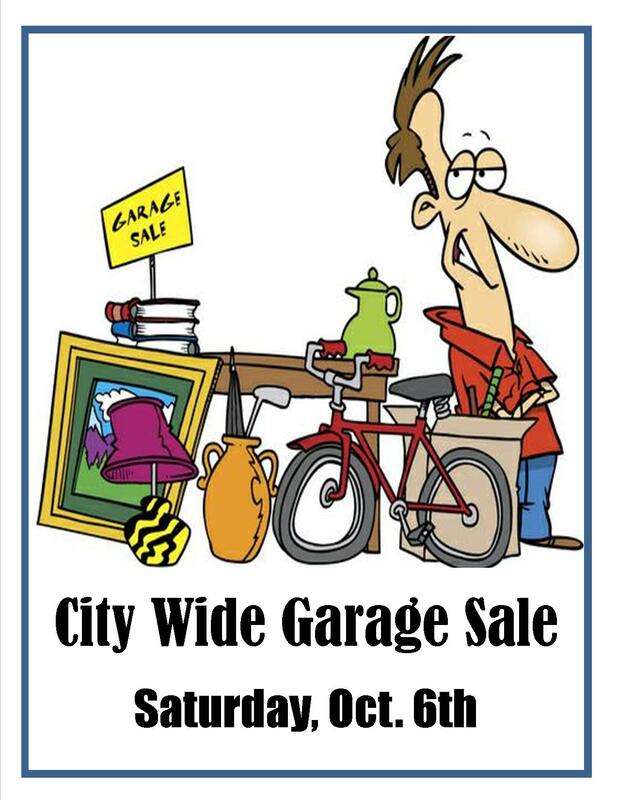 The Oswego Chamber of Commerce will have their Fall City Wide Garage sale on Saturday, Oct. 6th. Sales begin at 7:00 am unless otherwise noted in the ad. The fee for a garage sale permit is $11.00. This includes your license, 2 garage sale signs, and a 25 word ad which will be listed on the map that is distributed among area businesses. The fee and ad must be submitted to the City Office no later than 5:00 pm on Friday, September 28th. The ad should contain your address and whether your sale will be held "rain or shine". Maps will be handed out on Thursday evening, October 4th at the grocery store, convenience stores and other local businesses. All garage sale participants must agree to NO previous sales and all items listed must be available on the day of the sale. You can pay your fees and pick up your license at the City Office at 703 Fifth Street. Reminder: There is no clean up week after the fall garage sale.